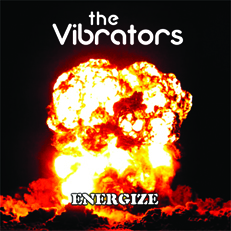 PLEASE PAY BY CHEQUE OR POSTAL ORDER ONLY- CASH GETS STOLEN- PAYABLE TO: THE VIBRATORS. ALL PRICES INCLUDE POST AND PACKAGING IN THE U.K. FOR EUROPE PLEASE ADD £2.50 AND FOR U.S.A./CANADA/AUSTRALIA ADD £3.50 PER ORDER. - PLEASE SEND INTERNATIONAL MONEY ORDER OUTSIDE U.K. 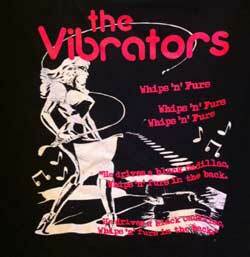 PAYABLE TO: THE VIBRATORS. 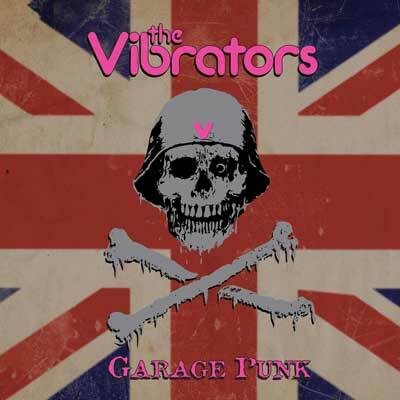 THE VIBRATORS, c/o PURFECT COTTAGE, 12 SYDNEY STREET, BRIGHTLINGSEA, ESSEX CO7 0BG, U.K.
T-02 - "Baby Baby" cover on white shirt, S, M, L.
T-03 - Black girlie vest with silver skull+crossbones. S, M, L, £12.50. OUT OF STOCK! T-04 - Black shirt with red v and white logo. 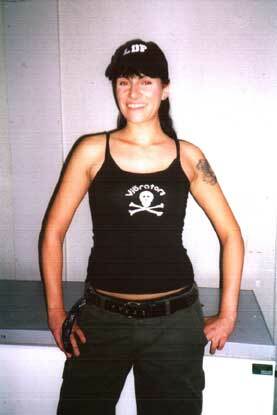 T-05 - Tight black girlie t-shirt with white skull+crossbones. Sizes: S, M. OUT OF STOCK! 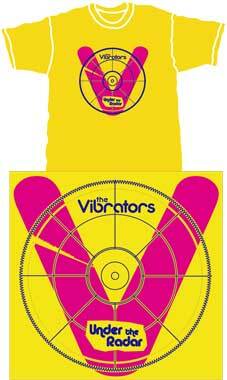 T-06 - "Automatic Lover" cover on white shirt. 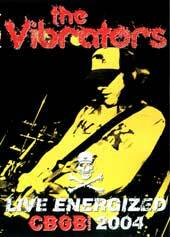 T-07 - "Energize" cover on black shirt. Sizes: L, XL. SOLD OUT! T-08 - "Buzzin'' cover on black shirt. T-09 - "Punk: The Early Years'' cover on black shirt. Sizes: L, XL. TEMP SOLD OUT! 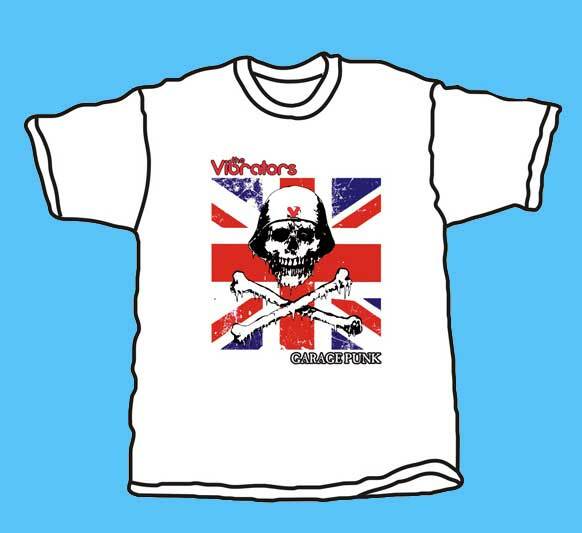 T-10 - "Garage Punk " cover on white shirt. Sizes: Girlie, S, M, L, XL. 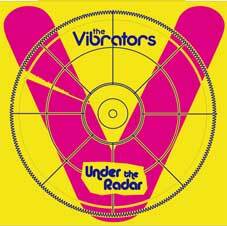 T-11 - "Under The Radar " album cover on yellow shirt. T-12 - Black shirt with "Whips & Furs" design. MS-2 - Dark grey denim, also in pink. Sizes: small, medium, large - £14 + £2.50 p&p. HP-01 - Hotpants, sizes: S, M, L, - black with skull & logo £7.50. CD-01 - BEST OF... - Anagram. CD-05 - THE INDEPENDENT SINGLE'S COLLECTION (singles From "Gimme Some Lovin'" To "Halfway To Paradise" + B-sides, 23 songs) released April 1997 - Anagram. CD-07 - VOLUME 10 + UNPUNKED - Overground. CD-08 - BBC PUNK SESSIONS - JOHN PEEL (x3), + In Concert. SOLD OUT! CD-10 - PURE MANIA + V2 + bonus tracks, £12.50 SORRY, SOLD OUT! CD-12 - PURE MANIA - very accurate reissue plus extra tracks - Captain Oi! 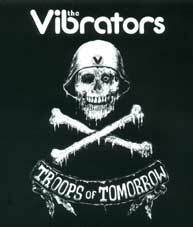 CD-13 - V2 - very accurate reissue plus bonus tracks - Captain Oi! CD-14 - HUNTING FOR YOU - Cherry Red re-release. SOLD OUT! CD-15 - BUZZIN'. SOLD OUT! 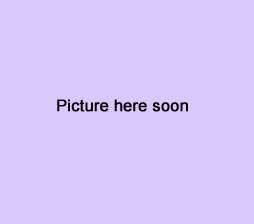 CD-18 - PUNK: THE EARLY YEARS - '77 covers album. 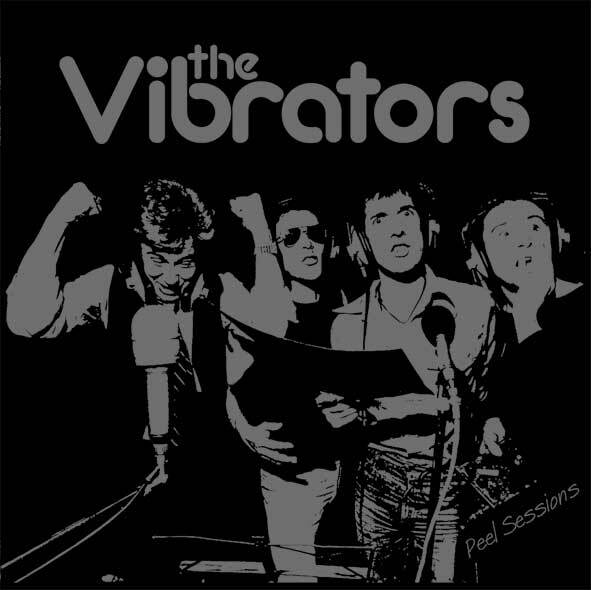 - Vibrators DVD. Live from CBGB'S 2004. Check here for details, £12.50 SOLD OUT! Here's some cool pics of the board - here! 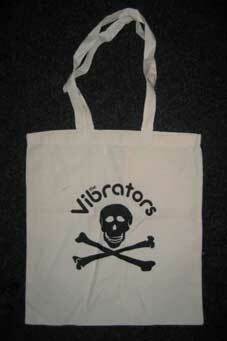 or from The Vibrators £40 plus £5 P+P in the UK. SOLD OUT! - Written by Knox. A4 format, 120 pages, 53,000 words. 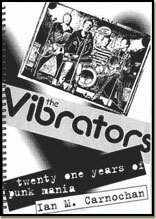 Contains a day to day account of the band, press cuttings, pics, lists of every gig, equipment, etc. Up til mid 1997 - "Excellent!" says Toxin their agent. Price £10.50. Add postage and packing: UK £2.50, Europe £3.50, everywhere else £5.50.